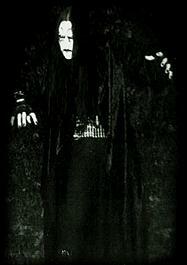 1 - Troll is a Norwegian black metal band. It was founded in 1992, when 14-year-old Nagash started writing music with Glaurung and Fafnir. 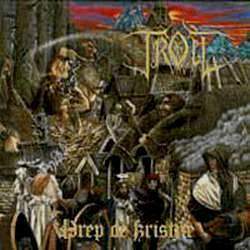 When Glaurung and Fafnir left the project, Nagash continued Troll as a solo project and released Trollstorm over Nidingjuv in 1995 and Drep de kristne in 1996. The latter album (the title means Kill the Christians in English) had an emphasize on anti-Christian lyrics. 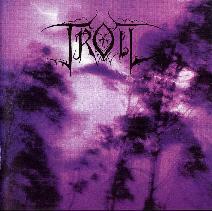 Consequently, Troll became associated with troll metal. 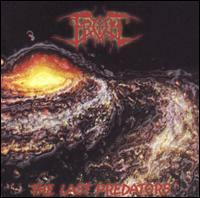 Following the release of Drep de kristne, Nagash spent more time working with other bands. Troll was inactive until 2000. By that time Fafnir, now under the name Sinister Minister Twice, had rejoined Troll. Other members were also added, making Troll a group and no longer a solo project. 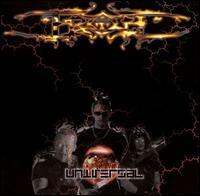 With Nagash concentrating on guitar and synth, Troll released The Last Predators in 2000 and Universal in 2001. Significant progress took place between Drep de kristne and Last Predators. Lyrical content was now mainly English, and the imagery revolved less around Satanic symbols and hate for Christians. The music became less grim and more symphonic and industrial over the years. 2 - Troll is a highly appreciated Swedish pop group that toured Europe and its hitlists in the end of the 1980's and the beginning of the 1990's. The girls were discovered by Jonas Warnebring in 1985 and released their first LP called "Stoppa sabbet" in 1986. In those days band members Annica, Erica, Helena, Jenny, Monica, Nina and Petra called the band "Trollrock", and they wore troll suits on stage. In order to claim international success the name was shortened to Troll and the suits were dropped. Their ever increasing audience danced many nights away to hits like "It's A Miracle" (1987), "Calling On Your Heart" and "On A Kangaroo" (both 1988). The bands fame went from big to super-huge when they teamed up with the competent producer trio Norell/Oson/Bard. Bard wrote their most highly beloved song, the immortal hit "Jimmy Dean", that blasted through the charts in spring 1990. After releasing the LP's "Troll" (1989) and "Put Your Hand In The Air" (1990) the band toured Europe and USA for almost nine months 1990-1991. During the early 90's Troll had several chart-toppers, and especially the hits "Midsummer Night" and "The Greatest Kid In Town" are worth mentioning. To the fans great shock and awe the band broke apart in 1995. Every year since, in summer a big "Troll Meet" is held in Falun, the bands home town.